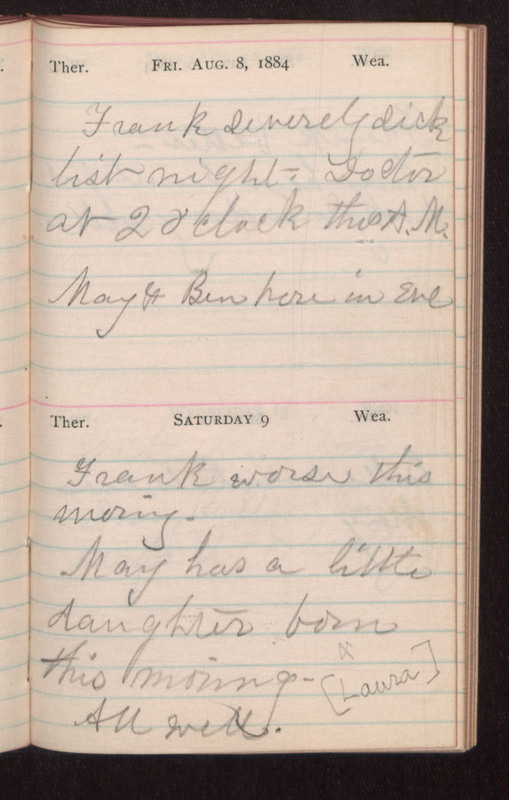 Fri. Aug 8, 1884 Frank severely sick last night. Doctor at 2 O'clock this A.M. May & Ben here in Eve Saturday 9 Frank worse this moring. May has a little daughter born this moring - [Laura] All well.